Ado Dahiru Daukaka went missing in the Adamawa state capital of Yola after he left his house early Friday to offer dawn prayers at a mosque. Daukaka was discovered weak and famished early on Wednesday some 80 kilometres (50 miles) from his house in Lamurde village. 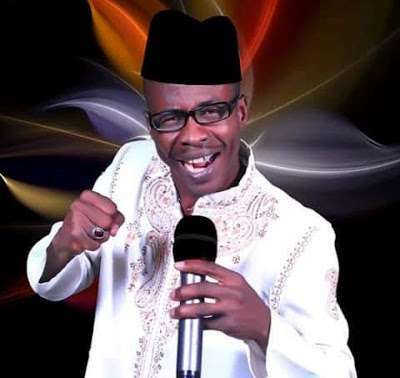 The singer said he believed his abduction was in connection with his new song that accuses politicians from President Muhammadu Buhari’s ruling party of corruption and predicts that they will be voted out of power in the 2019 election. he song “Gyara Kayanka”, or “Put your house in order” in the local Hausa language, accuses local lawmakers of being selfish and corrupt. “They asked me why I sniff around other people’s affairs which clearly shows that my kidnap had to do with my work as a singer,” Daukaka said to AFP, speaking from a hospital in Lamurde. “I was never physically harmed by my captors but I was quite traumatised by being abducted and held captive,” he said. The family of the singer said he was a political target. “It is obvious his disappearance is an abduction by some interests who are infuriated by his latest song which exposed corruption among legislators at the state house of assembly,” Daukaka’s relative Atiku Mustapha told AFP. “We believe they abducted him as a warning to other critics like him. They just want to muzzle critics,” Mustapha said. Hadiza Adamu, one of the singer’s two wives, said he had no enemies. “My husband is not known to be at loggerheads with anyone. The only explanation we could provide is that he could have angered some powerful interests with his songs,” said Adamu, who gave birth just five days before he went missing. Adamawa state police spokesman Othman Abubakar said an investigation has been launched but declined to comment if the disappearance was linked to the song. Daukaka became popular following Nigeria’s return to civilian rule in 1999 with a hit in praise of then-state governor Murtala Nyako. Local singers are fierce critics in northern Nigeria, with songs that tackle everything from forbidden love to political discontent. One of the country’s most popular singers, Afrobeat legend Fela Kuti, was imprisoned by Buhari during his short-lived reign as military ruler in the 1980s. Kuti’s arrest on charges of currency smuggling were dismissed by human rights groups who argued he was a political detainee after criticising the government.